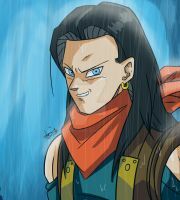 Back with some Jinzōningen Jū Nana Gō (Android 17) Fanart. 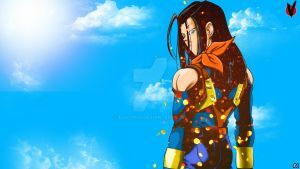 Though I have always loved Android 17 and Android 18, I wanted to do them separate so they each have their moment. If you ask why did I not do the new 17? While I love the fact he is actually a good character now, and love his character growth caring for animals and protecting them... HIS OUTFIT... need I say more? Uh no. lol. I like his classic outfit much better. Improvement comparison of new 17 and old 17 posted below.